DJ Press Play: HOLY CAT! 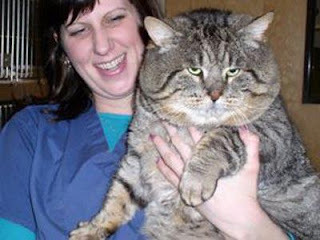 This may be the fattest cat EVER! Casey The Hut has nothing on this beast! The cat does not look amused. Poor thing, stuck half-way through a doggie door. The other cats were probably laughing at him.